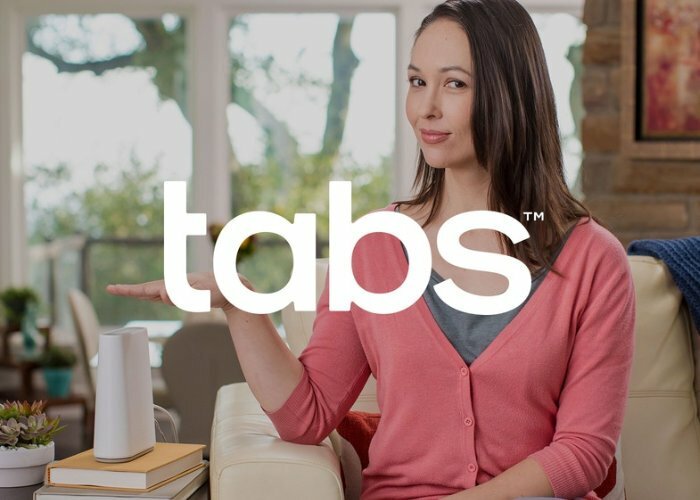 Update : After having an amazing week at CES with the launch of Tabs, and due to new strategic partnerships, the production process of Tabs has been accelerated and will be completed ahead of schedule, with the first batch of products arriving next week. With that said, the Kickstarter campaign has now been cancelled and ordering is now available directly from the Tabs website. TrackNet a company based in San Jose, California has created a new smart home solution which is capable of tracking both your belongings and family members both in the immediate vicinity of your home and also at a more extended range. The system has been designed to be subscription free and provides a long-range locator that can be attached to almost anything offering peace of mind at an affordable price. Watch the demonstration video below to learn more about Tabs which is launched via Kickstarter this week with the aim of raising $50,000 over the next 40 days. Tabs Home monitoring kits are available from $229 for early bird backers offering a 40 percent saving off the recommended retail price. If all goes well, shipping is expected to take place during March 2018, and the kit includes everything you need to monitor the health of your home, say its creators. The Tabs suite of hardware can be managed using a smartphone companion application that is available for both iOS and Android devices and can locate and monitor family members and valuable items. As well as monitor home temperature and air quality, and even secure a home against unwanted guests. The smartphone application also provides simple wireless parental controls and features to shield children from inappropriate web content. The smart home monitoring system is capable of covering both inside and outside your home for up to one mile in distance around your house, alerting you when family members return or leave the vicinity. The smart home security system also provides sensors that can be fitted to windows and doors to inform you if any unwanted visitors try to access your property. For more information jump over to the official Kickstarter crowdfunding campaign page by following the link below.